God is spirit. This defines His substance. Woman, believe me, the hour comes, when neither in this mountain, nor in Jerusalem, will you worship the Father. You worship that which you don't know. We worship that which we know; for salvation is from the Jews. But the hour comes, and now is, when the true worshipers will worship the Father in spirit and truth, for the Father seeks such to be his worshipers. God is spirit, and those who worship him must worship in spirit and truth. John 4:21-24 (WEB). Thus, Jesus answer to the question in what place God should be worshipped was not a physical place at all. Rather, it was a spiritual place or condition - in spirit and in truth. Further, the reason God seeks to be worshipped not in a physical temple but in spirit is that God is spirit. This defines God's substance. This Hebrew word, in lexical form, transliterated is rûwach. (My computer does not speak Hebrew). 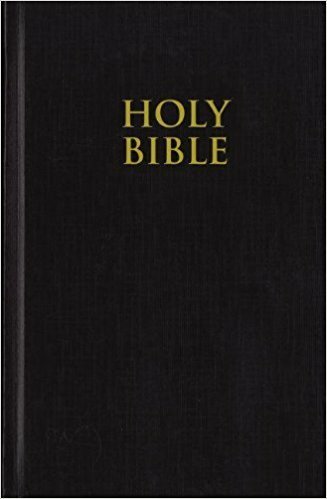 Genesis 6:17, 7:15; 2 Samuel 22:16; Job 4:9, 9:18, 12:10, 15:30, 17:1, 19:17; Psalm 18:15, 33:6, 104:29, 135:17, 146:4, 150:6; Ecclesiastes 3:19; Isaiah 11:4, 30:28, 33:11; Jeremiah 10:14, 51:17; Lamentations 4:20; Ezekiel 37:5,6,8,9,10; Habakkuk 2:19. Job 33:4; Job 34:14; Isaiah 11:1-4. This, too, is a transliteration. My computer also does not speak Greek. The word phantasma is also rendered "spirit" in Matthew 14:26 and Mark 6:49 in KJV, but has more the meaning "specter" or "ghost.” Otherwise, the only word rendered "spirit" in the KJV New Testament is pneuma, although in John 3:8 this word is rendered "Wind.” Pnoe, a closely related word, is rendered "Wind" in Acts 2:2 and "Breath" in Acts 17:25. 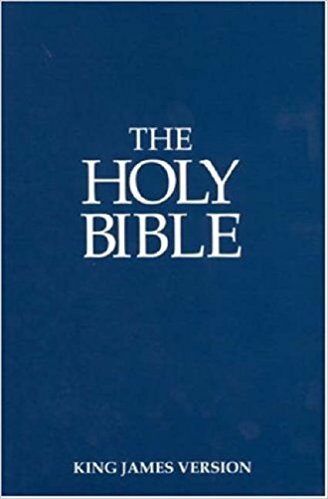 The definite article here is not found in the Greek texts, but was supplied by translators, presumably either to make this clause parallel the last half of verse 6 (in which the definite article is found) or to make plain their interpretation that "spirit" in this verse means "The [Holy] Spirit.” The definite article in this location may be unnecessary. Shri Mataji Nirmala Devi “The truth is there is a residual power in the triangular bone Sacrum, called as the Kundalini. She has the power to bring forth the complete nourishment and adjustment of the disturbed genes. Whether they are genetic, inherent or acquired. When She is awakened, She changes the series of genes. Not only that She corrects the gene's data base but She breaks through the fontanel bone area and connects the seeker to the all pervading power of Divine Love also called as the cool breeze of the Holy Ghost, Ruh, Ritambhara or Parama Chaitanya. Thus one, by this second birth, becomes a realised person as actualisation of baptism takes place. The light of the spirit which is the reflection of God Almighty in our heart enters into our attention and enlightenment. The seeker is really born again, not just a certificate but he changes as the transformation takes place within. There is a vast difference between an ordinary seeker and a realised soul. He becomes his own master full of Divine Love. It is a resurrection process, like an egg becoming the bird. Maybe this is the reason eggs are presented as a symbol, reminding, that one has to get resurrected. The genes change and complete transformation takes place. For some people it takes time if they are sick or egotistical. Also some of them who feel guilty or cannot forgive others are rather difficult to perfect their state of self-realisation. 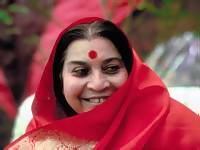 If they have a problem from false Gurus, cults, or fanaticism it also takes time, but can be established in Sahaja Yoga. People have given up even drugs over night. They never had withdrawal symptoms or any other trouble. Self realisation as a result of Kundalini awakening has exhibited fantastic results. It brings forth new creativity; many people have become poets; musicians and artists have achieved great heights in their talents; financial problems are solved; the problems of psychosomatic diseases get cured, like cancer, myelitis etc. Many incurable diseases also get cured without any medicines. The seeker becomes the witness of the drama of life and establishes an inner peace. He respects all the religions and belongs to Universal religion which encompasses all the religions of the world. Morality becomes innate and spontaneous. After the complete transformation he is averse to do any immoral acts. In the light of the spirit he knows exactly what is wrong or right and he is also empowered to stay clean and holy. He enjoys his virtues which he respects and without any doubt he becomes a moral human being. First thoughtless awareness is achieved and later doubtless awareness is established beyond the mind. At this stage the Sahaja Yogi can give self-realisation to others. The ageing does not take place, on the contrary the Sahaja Yogi becomes and looks at least twenty years younger than his age. They become universal beings. All human enemies of lust, greed, anger, possessiveness, jealousies, attachments just disappear. Thus a new race of saints are created who do not have to give up anything to show off their detachment or asceticism. You cannot pay for Divine Love which is absolute truth, which the Sahaja Yogi feels on his finger tips as vibrations of the cool breeze of the Holy Ghost. The finger tips are related to the energy centres (the chakras). The chakras are responsible for our physical, emotional and mental being. If the Yogis can correct their chakras, they can also correct the chakras of others. Thus all the physical, emotional and mental problems are solved. Those who are pure people have the necessary balance of moral life which ensures a very wide central channel (the Sushumna Nadi) of ascent for the Kundalini. Now, whatever I am going to tell you has not, to be accepted blindfolded but treated like a hypothesis. Again and again, I would request you that you must keep your mind open like a scientist. If whatever I am saying is proved then, as honest people, human beings have to accept this beautiful discovery about yourself because this is for your benevolence, and for the benevolence of your family, benevolence of your society, benevolence of your nations and benevolence of the whole world. “The Kundalini rises through a very thin line of Brahmanadi. In the beginning only a hair like thing rises, it pierces through; in some people, of course, in a big way it rises also. And then it pierces this fontanel bone area which is a real baptism, real. Today only people felt the cool breeze coming out of their heads. Can you do that by jumping, or by paying money? They felt the cool breeze in the hand. It's written in the Bible, even in the Bible very clearly, that it's the cool breeze, cool breeze is the sign of the Holy Ghost. You start feeling the cool breeze in your hands and you start feeling the cool breeze on your head. This is the actualization. Of course, you people don't read other books which are very good, like Adi Shankaracharya, People don't even like the mention of his name who has really and clearly said that it is the cool breeze; the chaitanya is to be felt like cool breeze in the hands. They do not want that you should know the truth. And this is the truth that when you get your realization, you have to feel the cool breeze in your hands yourself. You have to judge yourself. I'm not going to tell you. It is you who has to see, it is you who has to feel, and then you have to grow and you have to know all and everything; all the secrets of Divine Science. You become the master then, you are the guru. “But do you have your self-esteem? If you have then where should be your attention? It should be on your Self. Where is your Self now? It is God Almighty; it's part of that Great Primordial Being. Your attention should be on that. “But today the time has come where thousands can get their realization and can be established because the Last Judgment has started. The Last Judgment is going to be through Kundalini awakening, as if Kundalini is the pointer in the balance. It has started! People are not aware it has started! They do not want to be judged as yet, but time should not be lost. But this Judgment is so beautiful that when you are judged you get powers of your own, of your love; you enjoy the bliss of your Spirit; you become so peaceful, all the tensions disappear; you become so dynamic and the blessings of all the well-beings come on you. As Krishna has said "Yogakshema.” First the yoga then the kshema. Kshema is well-being. If you have not achieved your yoga the kshema is not bothered. People say I am preaching Advaita of Shankaracharya. Of course, it is the same, whether it is Shri Sankaracharya or anybody. I am doing that, only he was preaching I am doing it. Unless and until you become big you cannot evolve. And how do you become big?—by becoming the Ocean yourself. A small drop becomes an ocean, as long as he becomes One with the Ocean. You become One with the awareness of God. This is what Christ has said," You have to be born again.” Is said by everyone. Moses has said it, everyone has said it but people are telling you "No, no, no, no. That should not be done" because these middle agencies will be losing their income. How will they exist without it? Try to see these points. Achieve your own powers of Love; achieve your Self, become your Self. If you want it you can have it, but if you don't want nobody can force this. Nobody can take away your freedom. If you want to remain as you are, you are left with that; then you face it up and live with it. But if you want the ultimate, the absolute, it is there. That's the only way you can get rid of your confusions and get rid of all your ideas of relative existence—political, economic and everything can be only dissolved through achievement of your absolute. Because after realization you can feel, you can ask any absolute question. For example, if you want to ask the question "Is there God?”, immediately the cool breeze starts coming out. Tremendous! The answer comes as if like a computer you start working out because you are put to the mains.